Hairlessly Speaking: Porkkkk (돼지고기) and karaoke (노래방)!! Porkkkk (돼지고기) and karaoke (노래방)!! 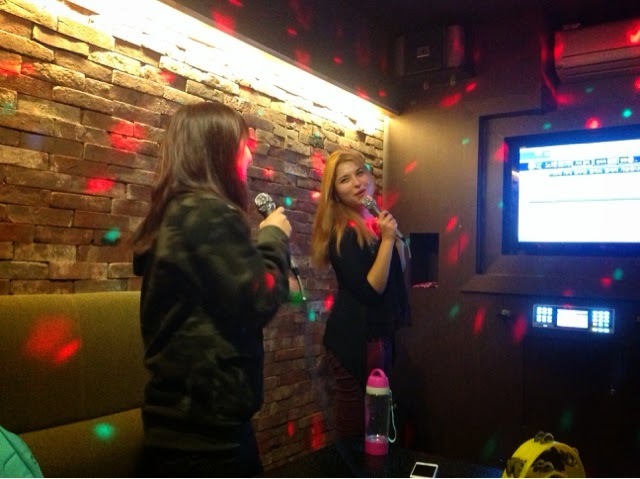 If you've heard much about Korea, you've probably heard about their Karaoke rooms (노래방). 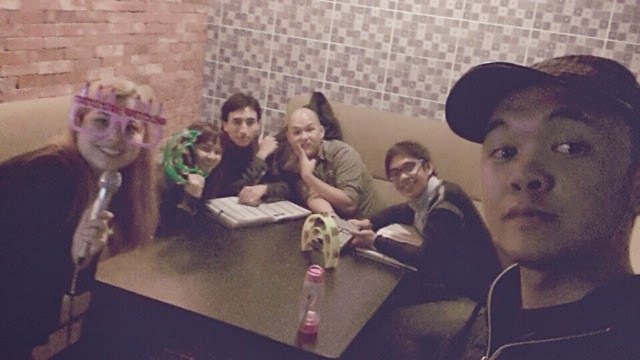 We took the chance to go and have some fun after our examination to pass to the next book level of Korean Language (한국말). Went to a nearby restaurant that Kiyo and the others from Calotype went before to eat. Since they said it was good. I don't really want to be a noob at this, but it's REALLY difficult differentiating the meat in this, whether beef or pork, because it tasted so much like pork, yet the texture was so much like beef. You can't really tell because the sauce was so overbearing too. 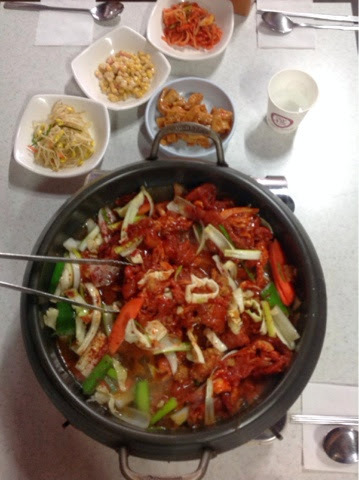 But one thing's for sure, DELICIOUS (맛있어요). 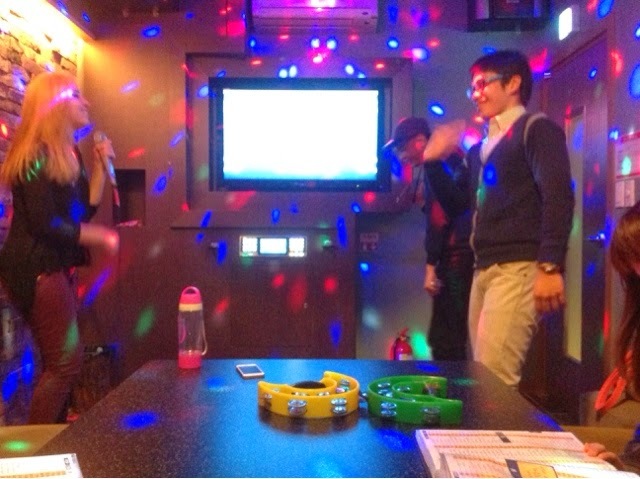 Went ahead to the Karaoke room after and had some fun. 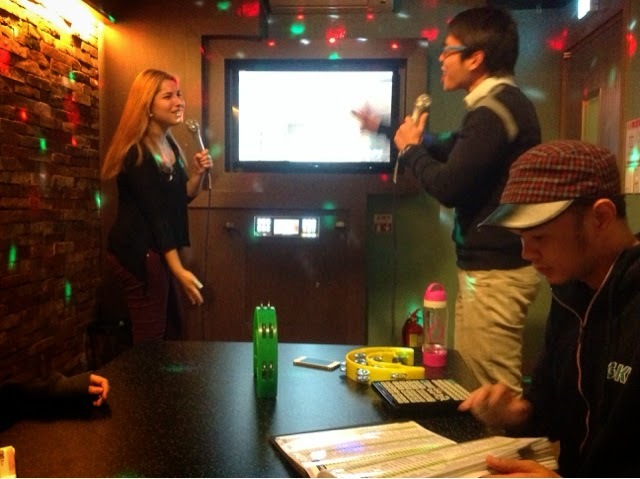 I don't know about your countries, but in Singapore, Karaoke rooms are pretty boring and it's just play and sing. However the rooms here have TAMBOURINES and DISCO LIGHTS. It's so much fun! Ever since traveling to Korea, every single time I've been here I went to 노래방 with Gnia, and it has never failed to lift up the nights. There's a saying 'noraebang through the night' and apparently it happens a lot in Korea. (Probably why the saying came about right... duh) But definitely it was a memorable night.. We laughed, we sang and we danced. Ultimately it's all about learning to become comfortable with each other through moments created, laughter shared and memories imprinted. I'm blessed to not have been a loner, or to put it less crudely, a person who keeps to himself, or wasn't able to find a group of friends fast enough that I have to go around alone. Although I don't have any Singaporean counterparts, or seniors (that have contacted me...) it doesn't feel all that unfamiliar, because in the presence of friends I still find familiarity... and I'm thankful. As much as iron sharpens iron, we will make each other better people.